If you're like me, you're probably not too happy to make changes to a production database without a proper backup. 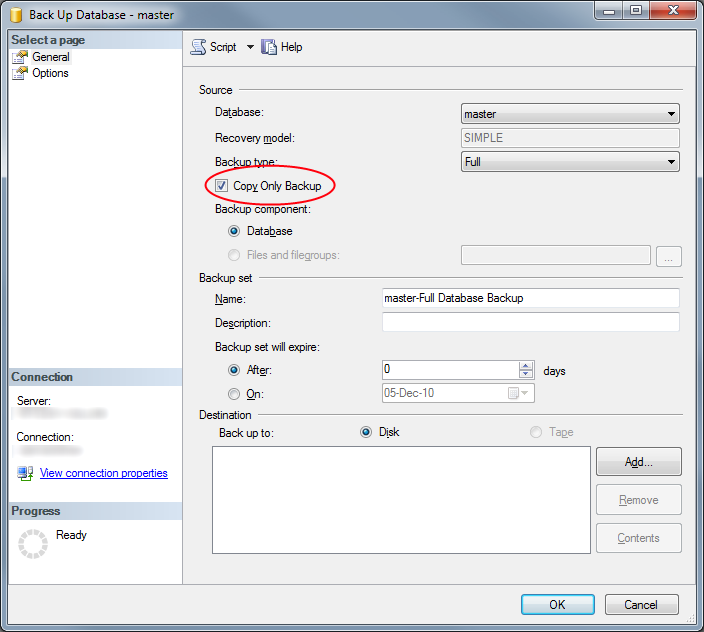 Most SQL configurations I've seen either have replication/mirroring or they have a full backup once in a while and a differential backup relatively often so backing up the database normally will interrupt the flow of full to differential backups, creating a hole in the middle where your differential backups are unusable. Well, that's why "Copy Only" was made.